House prices soared a further 20 percent. My spirits soared when I heard the good news. She was changing the baby’s diaper. I knew William when he was still in diapers (= when he was a baby). 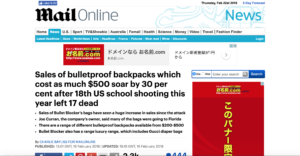 Bulletproof backpacks have seen a huge boost in sales following the deadly shooting which killed 17 people at a Florida high school. They hurriedly fortified the village with barricades of carts. He fortified himself with a drink and a sandwich before driving on. 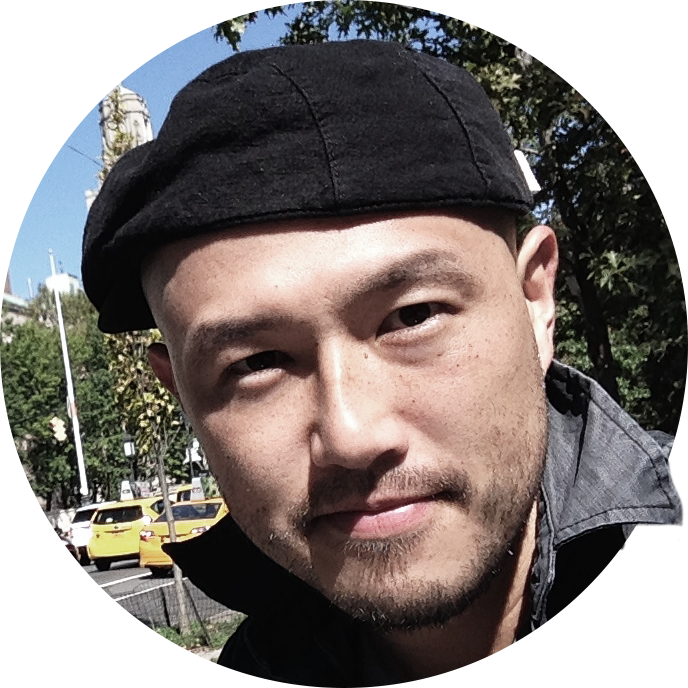 A new version of the software is due in the next couple of weeks. The case is due to go to court next month. The next meeting is due to be held in three months’ time. We can teach dancers up to intermediate level here. You have up to ten minutes. 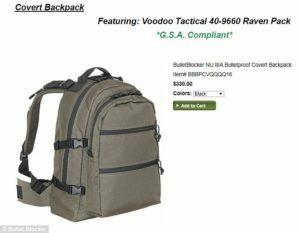 The BulletBlocker NIJ IIIA Bulletproof Covert Backpack, which costs $330 online, is described as having an anti-ballistic panel which weighs roughly 20 oz, the same as a water bottle. The item comes in three different colours and has removable BulletBlocker NIJ IIIA Bulletproof Covert Backpack. The product, which is tested to NIJ IIIA standards, is capable of stopping a 357 Magnum, 44 Magnum, 9mm, .45 caliber hollow point ammunition and more. This jacket has removable sleeves/a removable collar. Mr Curran said the backpackers were his top sellers recently, although the website offers a range of other bulletproof items. The website has its own clothing range, including everything from a Farm Coat and leather jacket, to a lab coat and a bulletproof collar. 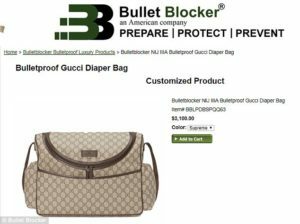 There is even a luxury, high-end product range, which includes a Bulletproof Gucci Diaper Bag which costs $3,100, a Gucci New Flora Technical Jersey Jacket at $3,200 and even a Bullet Blocker NIJ IIIA Bulletproof Hermes Evelyn III 33 that costs $5,225. 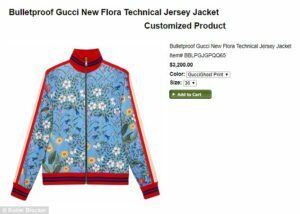 The two most expensive items on their website include a bulletproof Armani Wall Street Suit which costs $5,895 and a Saint Laurent Moto Jacket $6,450.